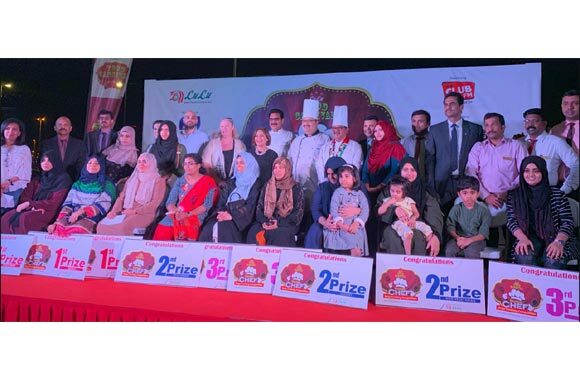 Dubai, UAE, March 30, 2019: LuLu, the largest hypermarket chain in the region, unveiled its annual Food Carnival, a two-week food festival that highlights a wide variety of special offers and culinary delights inspired from flavours around the world. The food fest features great discounts on food products and an exciting series of cooking competitions across the UAE until 7th April 2019. More than a great shopping experience, customers can participate in cooking competitions in different categories, such as vegetarian and non-vegetarian dish cooking, dessert making, decoration for cakes, icing, fruit platter, salads, pizza, muffins, and burgers, carving, and mother and child tandem. The contests will be held in LuLu Hypermarkets located in Abu Dhabi, Al Ain, Dubai, and Sharjah. Get ready for a culinary feast of flavours at the food festival with LuLu’s great range of products in special price offers. From cooking essentials to packaged beverages, spices, and sauces, the food variety offers your favourites in one place. Hot food and fresh fruits, vegetables and meat are on the spotlight with affordable rates to complete your grocery shopping, along with deli items, dairies, cereals, biscuits, and spreads on offer. Moreover, discounted kitchenware, appliances and dining accessories are all set to bring ease and comfort in your kitchen. With 164 stores operating worldwide, LuLu has continuously been exerting its greatest efforts to provide and sustain the supply of global products at the best rates. With the excellent combination of high-quality offerings and organised logistics system, LuLu remains to be the favourite shopping destination in the KSA when it comes to a broader selection of international products.